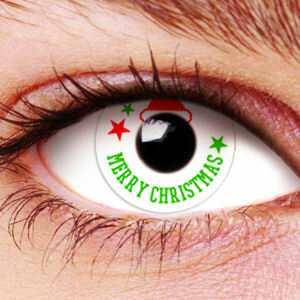 Create some Christmas cheer to your eyes with these Santa's Hat Contact Lenses. 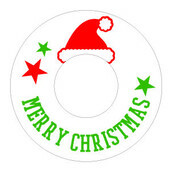 These white color contact lenses also feature a Merry Christmas slogan and keep your eyes feeling hydrated and comfortable all day long. Dream Eyes Contact Lenses are high quality fashion contact lenses. They are soft and breathable, with a high water content that makes them very comfortable to wear. They are easy to use and clean, working in complete harmony with your eyes.